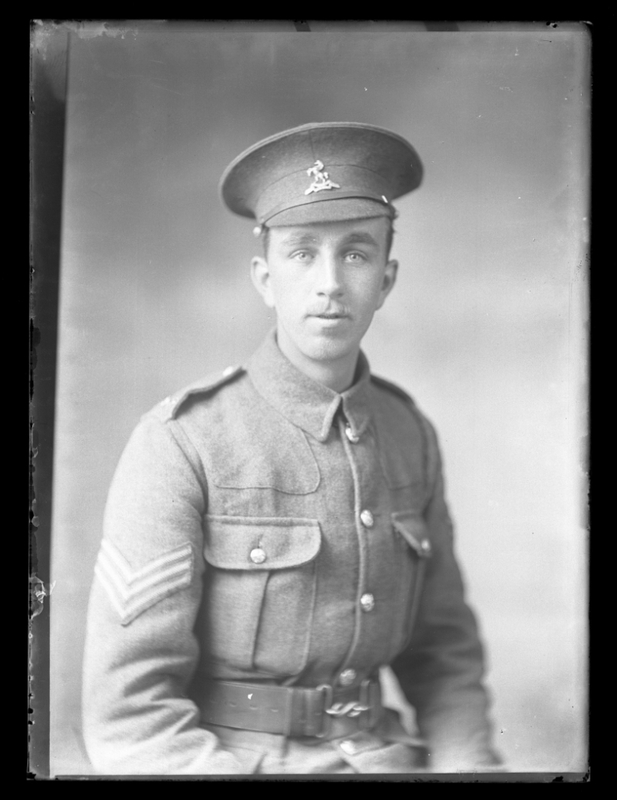 Cyril John ‘Jack’ Whyntie was an early recruit to Kitchener’s Army and had a successful career throughout the war. Clearly earmarked as a promising recruit, his bravery was to win him the Military Cross in the last year of the war. 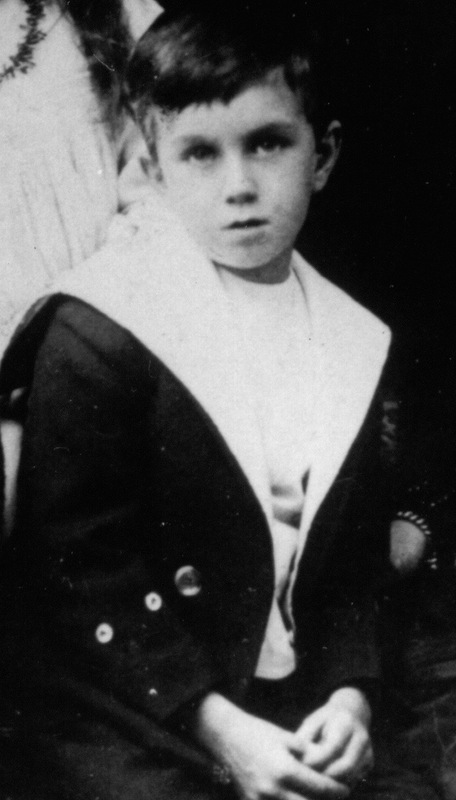 Cyril was born on 5th October 1894 in Kentish Town, London, to William Whyntie (1860-1948) a draper originally from Scotland, and his wife, Annie Frances (1867-1938). 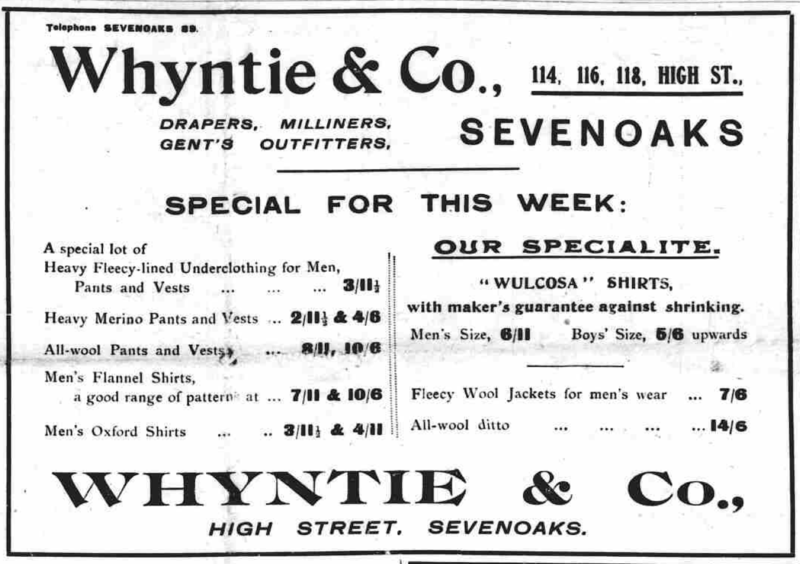 By 1901 the family were living in Sevenoaks at 118, High Street. That year’s census shows William working as a draper’s manager and living with his wife, sons Jack and Fred, and daughter, Olive. Thirteen servants were also listed as residing at the premises. By 1911, Jack was listed as an apprentice draper and the family now included two other daughters, Doris and Kathleen. Including servants and a companion to his wife, William Whyntie’s sizeable home of fourteen rooms housed fifteen people, including the appropriately named Bertha Draper, sister of Frank Draper who was killed in 1917 and is remembered on the Sevenoaks War Memorial. The family were Wesleyans and William Whyntie often preached and involved himself in church business. Cyril had been educated at Avenue House School, Sevenoaks, followed by the Judd School in Tonbridge. After leaving he had been apprenticed as a draper to Frank East of Tonbridge. Like many Sevenoaks men, shortly after the outbreak of war he enlisted at Tunbridge Wells on 4th September 1914 where he was assigned to 7th Battalion The Queens Own Royal West Kent Regiment, one of the new regiments composed of recruits who answered Lord Kitchener’s appeal for volunteers. His papers show that he was 5 10 & 3/4 tall with grey eyes, brown hair and a fresh complexion. By the time Jack was sent to France with his battalion in July 1915 he had been promoted from lance corporal to corporal, lance sergeant and then sergeant. 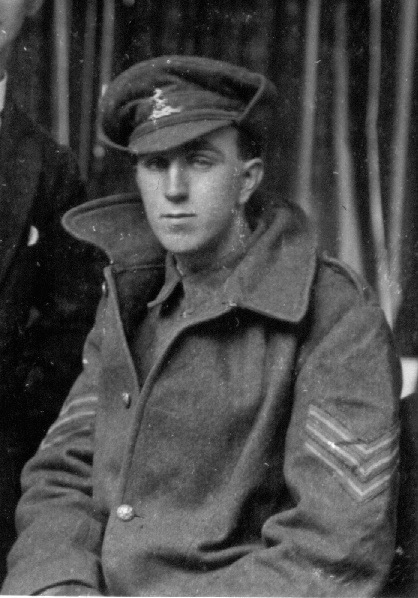 As a sergeant in 7th Royal West Kents, Jack saw action in the early days of the Somme and was present at the capture of Trones Wood, where three other Sevenoaks men, Fred Gilks, Lawrence Bowles and James Pettitt, all in Jack’s battalion, lost their lives on 13th July 1916. Jack Whyntie’s records show that he remained at the front until February 1917 when he returned home for four months. Perhaps it was during this period of leave that he sat for local photographer, Charles Essenhigh Corke, whose firm was situated on the London Road. 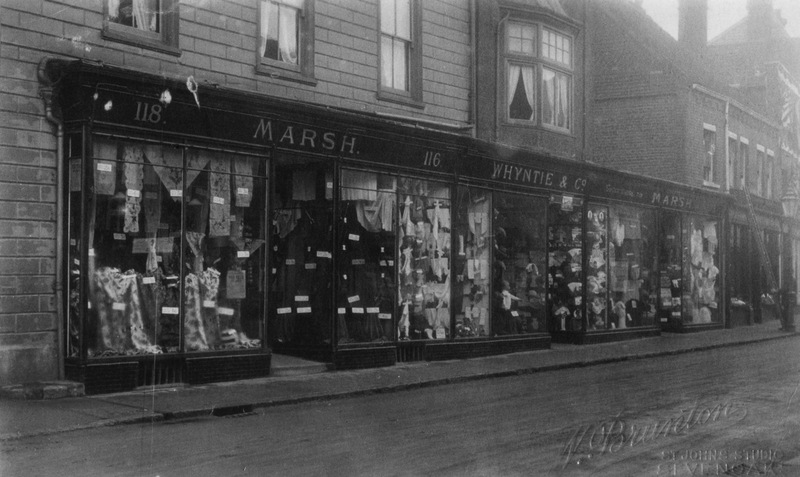 The Essenhigh Corke studio had offered free photographs to serving men, and many locals, as well as men who were stationed in the town, took advantage of the offer. In 2008, five hundred glass plate negatives were found in the former studio. These, including Jack’s portrait, were digitised and put on public display before being housed at the Kent County Archives in Maidstone. 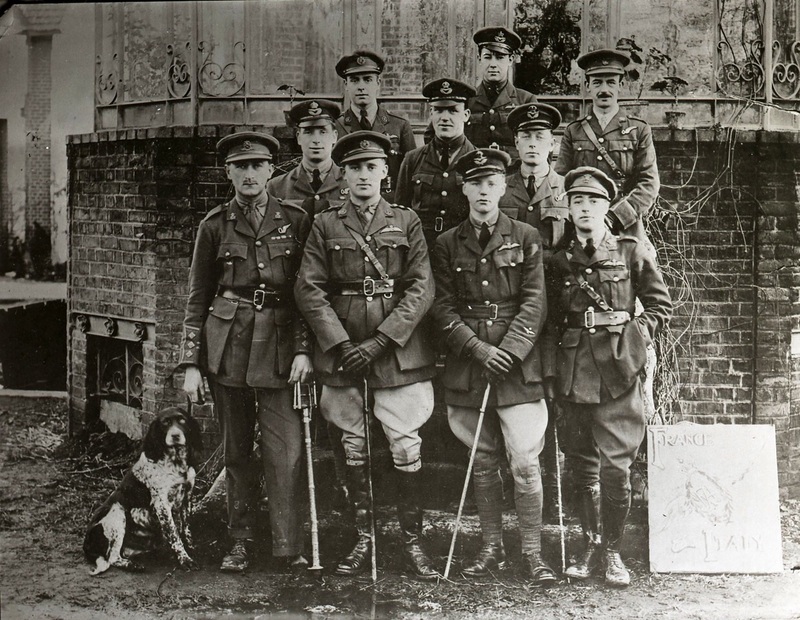 In 1917 while still a serving sergeant in B Company of the 7th Royal West Kents, Jack applied for a temporary commission, which he received in the June, being gazetted as a temporary Second Lieutenant in 8th Battalion East Surrey Regiment. ‘in the big advance, last Friday, October 12th. Going over the top – during which operation all his senior officers were hit – it fell to Lieut. Whyntie’s lot to lead his company on in the advance until he, too, was hit by shrapnel some distance on. Lt. Whyntie is now lying in a hospital at the Base, suffering from shrapnel wounds in the thigh’. In its November 23rd edition the Chronicle was able to report that Jack had sufficiently recovered to be able to rejoin his regiment. 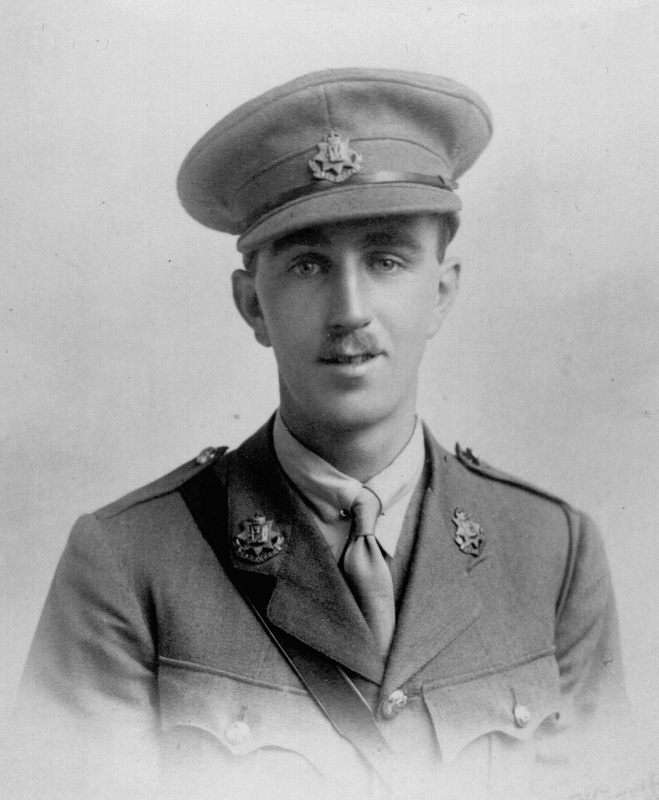 On 4th April 1918, Jack was again injured, this time at Villers-Bretonneux on the Somme. Once again the Sevenoaks Chronicle reported news of his injury, stating that on this occasion he had been wounded by a bullet in the arm. Jack was sent back to England where he was treated at the 5th Southern General Hospital before being transferred to a convalescent home for officers. By June 1918 a Medical Board concluded that he had regained perfect movement in his shoulder and was fit for general service. For conspicuous gallantry and leadership near Ronssoy on the 18th September, 1918. He held his company well together in the dense mist and kept them straight on their objective. Owing to the failure of troops in front to take the Green Line the company soon found itself in the front line and met with heavy machine-gun fire. He at once extended his company and pushed on, thereby gaining two thousand yards of ground and reaching the Green Line. After the armistice, Jack continued to serve, for a time in the army of occupation, before he returned to the family business where he became a director and settled in Sevenoaks with his wife, Helen, and two children, Barbara (born 1923) and Brian (born 1925). A popular businessman, local resident and a keen follower of cricket, he was often seen watching a match at the Vine ground which overlooks the war memorial. 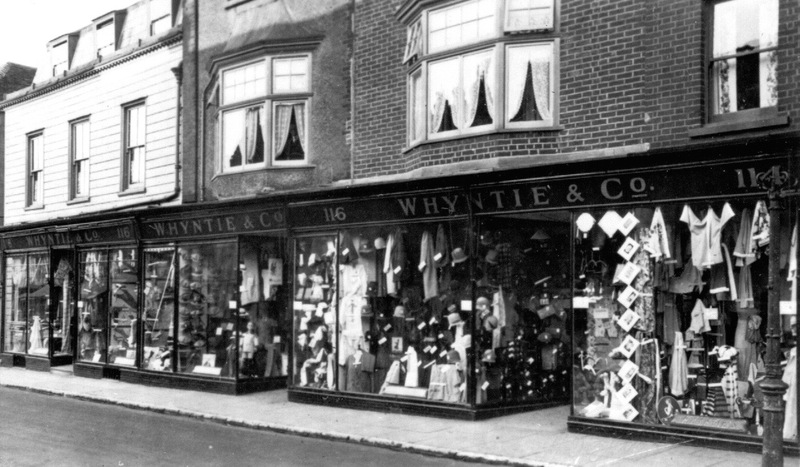 Jack Whyntie was taken ill suddenly when preparing to close the shop one Thursday evening in 1935 and died of meningitis on his forty first birthday on the following Saturday 5th October. He was buried in Greatness Cemetery. His brother Fred, who had served as an Air Mechanic during the war, survived him by only two years, dying in 1937, followed the year after by their mother, aged seventy one. 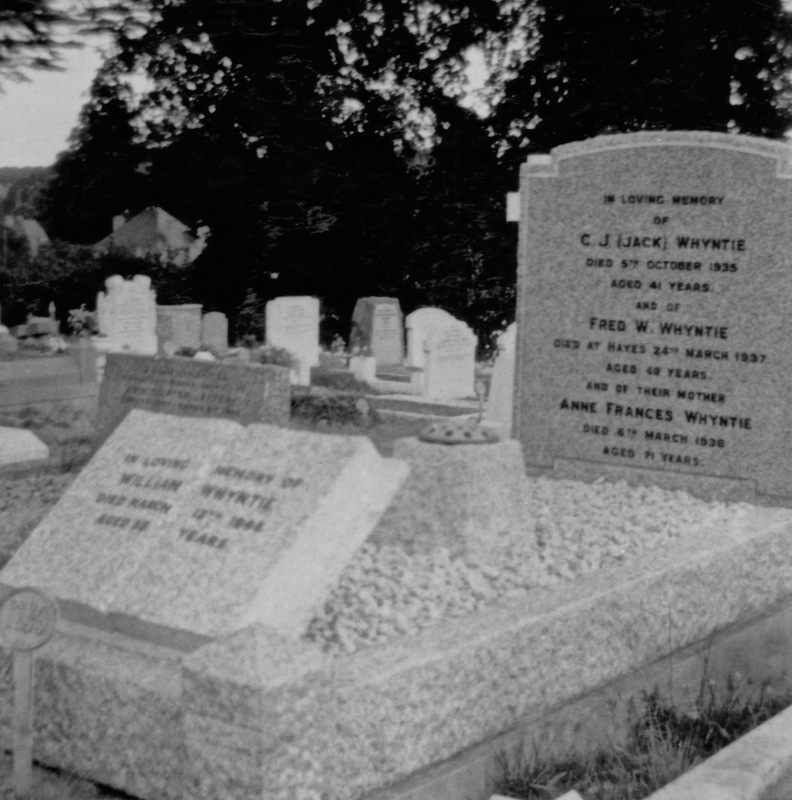 William Whyntie, the patriarch of the family, lived on until 1948 when he died aged eighty eight and was survived by his daughters and grandchildren. I am grateful to Jack Whyntie’s Great Nephew, Adrian, for sharing information and some splendid photos of his Great Uncle. Of the five Gordon brothers who fought in the First World War, two are remembered on the Sevenoaks War memorial. Donald Jervis Gordon was the first to be killed, dying on the third day of the battle of the Somme in 1916. Donald was a Lieutenant in the Border Regiment. His younger brother, Bernard Vernon, was killed later that year in December 1916, in a flying accident in Northumberland whilst serving with the Royal Flying Corps. The remaining brothers who fought were Thomas Milford – a Second Lieutenant in the Royal Engineers, Edward Basil and Cedric Foskett Gordon. During the course of my research for the book, a family friend of Cedric, David Lambourne, contacted me with information about him, including Cedric’s obituary and recently one of Cedric’s nephews, Martin Gordon, wrote to me from Australia, having been pleased to find the photograph of his uncle that David had sent me and which is now displayed on my ancestry page for Sevenoaks as well as in the War Memorial Gallery on this site. Cedric lived to the ripe old age of 89, dying in Sevenoaks in 1979. Like his brothers Donald and Edward he was educated at Lancing College, were he excelled in sports. In 1910, he was commissioned into the North Staffordshire Regiment. He was sent to France on the outbreak of war and was wounded twice. In 1915 he was awarded the Military Cross for leading an attack on a village. His second injury was the most serious and resulted in his losing a leg. You might be forgiven for thinking that this would be the end of his war service but Cedric joined the Royal Flying Corps and continued his wartime service as an observer and air gunner on the Western Front. He was subsequently awarded the Croix de Guerre in 1917, was mentioned in dispatches four times and awarded the military class of the OBE in 1919. According to another nephew, quoted in his obituary, Cedric was shot at during one flight with the bullet shattering his wooden leg. On landing, he was said to have found the stray bullet in his pocket and was confined to bed until the camp carpenter had made him a new leg. 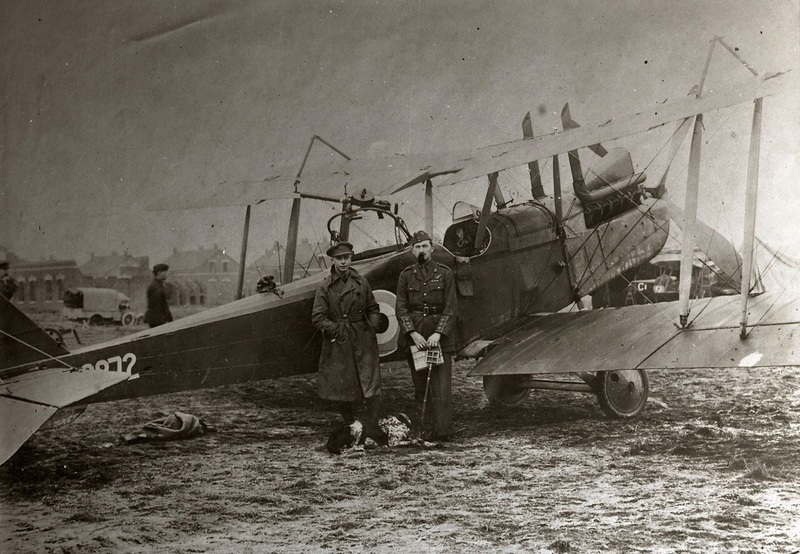 After the war, and having gained his pilot’s licence despite his wooden leg, Cedric was sent to Russia with British forces to aid the White Russians in the Crimea in their fight against the Bolsheviks. He was awarded the Distinguished Flying Cross and received the Order of St Ann and the Order of St Stanislas from the Russians. After leaving Russia, he flew in Palestine, where during one flight for reconnaissance work, he was forced to land in the desert and was, according to his obituary ‘picked up by a band of friendly Arabs’. 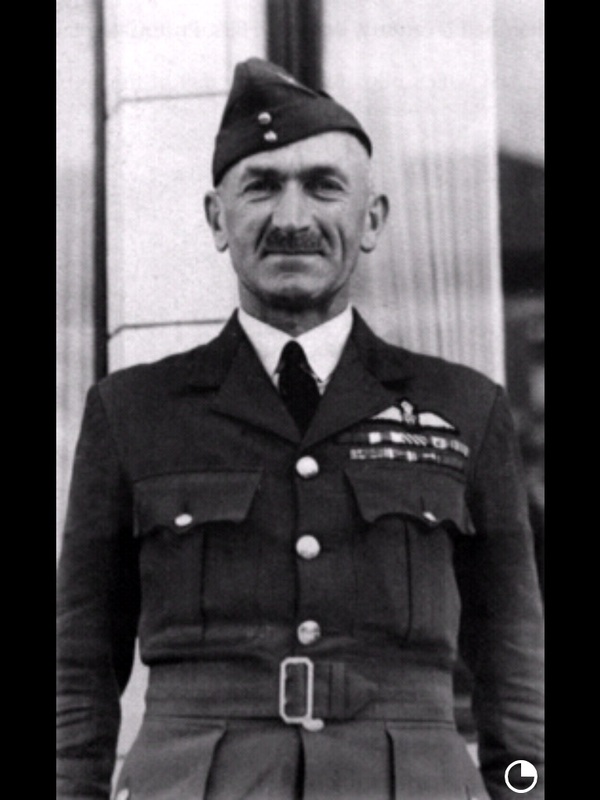 Cedric later worked for British intelligence in mainland China, before returning to England and taking command of the RAF Bloom Centre. During the Second World War, he was eventually put in charge of the South East Air Training Corps and was also a member of the Home Guard. On his retirement, he returned to Lancing College, where his brother Edward was a Master, to become Bursar. Later in life he became well known in Sevenoaks for his involvement in the local scouting movement. He lived in a big house with grounds in Sevenoaks. He had big vegetable gardens, a large pig, called Mr Pig, and even a little wood on a hill. He had a little MG which he used to drive my sister and I into town with – we stood up in the boot. He never married and lived with his sister Kathleen. She affectionately called him “Beast” and he had a similarly uncomplimentary name for her, which I can no longer remember. He was a wonderful man- we lived near London, but we drove over to visit about once a year when I was a child, and it was always one of my favourite days of the year. On 23 December 1919 the plane he was in was hit and they had to make a forced landing behind enemy lines. He and the pilot burned the plane and set off walking through the winter snow. You can imagine how cold it was, Christmas time in Russia! And they didn’t get back to base until the next day. I can’t imagine how he did that with one leg. Martin Gordon is investigating his uncle’s service in Russia and I am continuing to research the service of all of the brothers who fought during the war and who gave so much to their country.